A Post-Depilatory, Naturally Soothing Gel. Aloe Vera And Allantoin Help Reduce Redness And Irritation After Waxing. Ideal After Sun, Sauna, Bath Or Shower. Cleanses and prepares the skin for waxing services. Removes any traces of oil, make up and perspiration from skin. Wax Necessities Pre Waxing Lotion with Natural Aloe Vera Extract 8.45 oz / 250 ml. Ingredients: Aqua, Alcohol, Polisorbante 20, Aloe Barbadenis Leaf Extract, Camelia Sinensis Leaf Extract, Camphor, Methylchloroisothiazolinone, . Methylchloroisothiazolinone Magnesium Chloride, Magnesium Chloride, Magnesium Nitrate, Fragrance, FD&C Yellow 5, FD&C Blue no.1. Used to condition and sanitize the skin before waxing. Remove residual cosmetics, degreases the skin, lifts the hair. Contains soothing natural Aloe Vera extract. 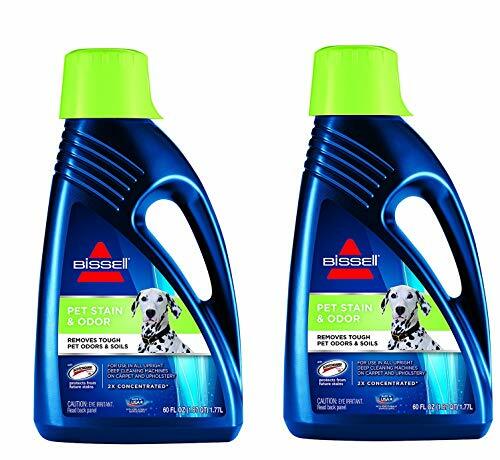 Economical if used on large areas (legs, arms, back). 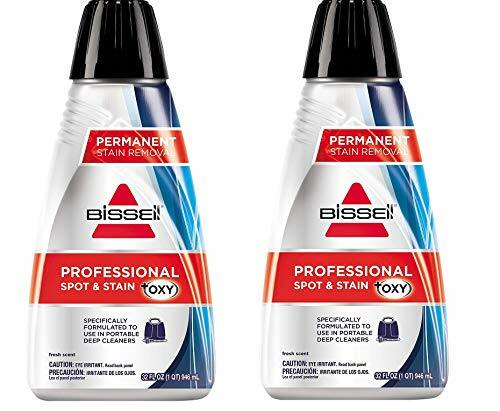 Directions: apply on the skin before depilation with light massage movements. Caution: Do not apply on mucous tissues, blemishes, moles, warts, sunburns, inflamed areas or skin problems. 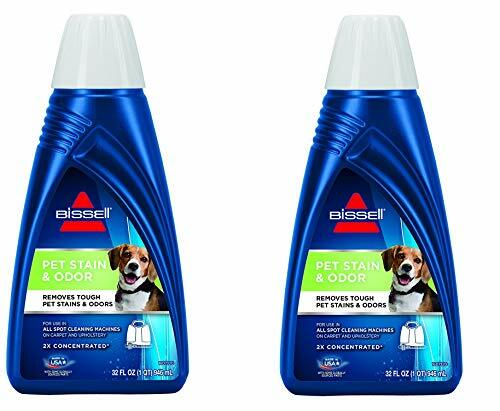 Discontinue use if irritation develops. Do not ingest. Keep away from children. . 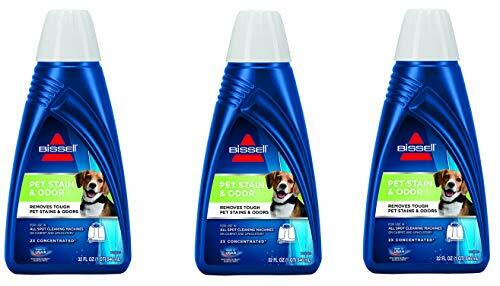 Discontinue use if rush develops. 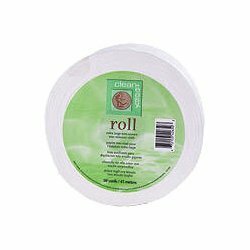 Removes impurities and oily residues from skin prior to waxing process. 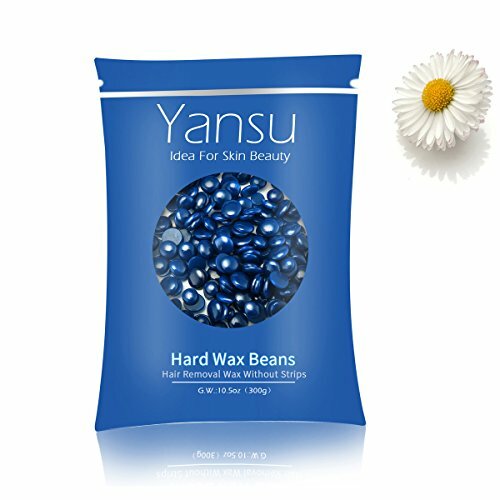 Yansu Hard wax beans Physical removal hair give you a beauty body, let your hair remove more less. Natural wax healthier for your skin. Best Remove hair off, make the wax temperature about 42 C,Do not be too hot to hurt your skin!!! 3.When the wax becomes cool(about 30s),hard and holds the skin taut,remove the wax with a firm action against the direction of the hair growth quickly and strongly. ANY QUESTION ,PLEASE FEEL FREE TO ASK. It would be a little bit pain and a little bit smell, but not affect to use. Fot The hair remove is a physical process. You may received the one which is not seal, because the customs will open the bag to check it, so don't worry about the seal that's not a big problem. Anything, please feel free to contact us!!! Yansu WILL ALWAYS WITH YOU. Perfect blue with Fascinating,the best color in the whole world, is the one that look good on you.In order to be irreplaceable, one must always be different! 60 Melting point, Best melt wax in 42 to remove Hair, lower 42 would not the best state to remove hair, too hot would be hurt yourself. So do be careful please! Easy to Use: spread a layer of wax with aspatula on the skin along the direction of the hair growth. Ensure wax is not too hot before applying to skin. Allow a short period to cool and then holding the skin taut remove the wax with a firm action against the direction of the hair growth. Health physical Removal above 92% hair: ideal for hair removal for legs, armpit, bikini edge area, chest, back, face,eyebrow and no strips required. 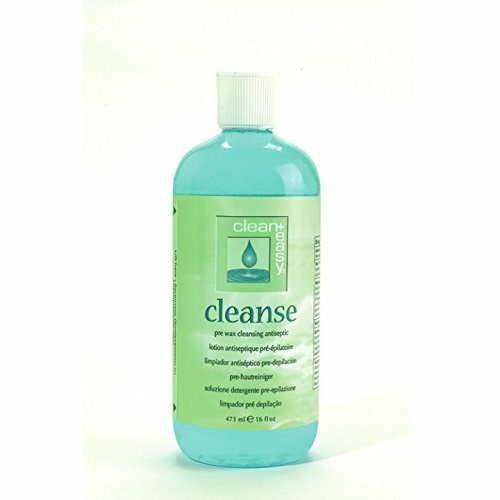 Give you a clean body. 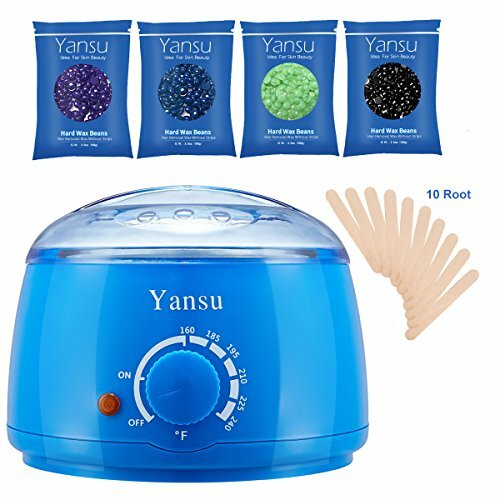 Yansu always be with you: 100% money back and lifetime warranty, offer you a wonderful wax with service.Just enjoy the salon/spa waxing at home. A pre-wax cleanser that removes any traces of oil, make-up and perspiration from the skin. 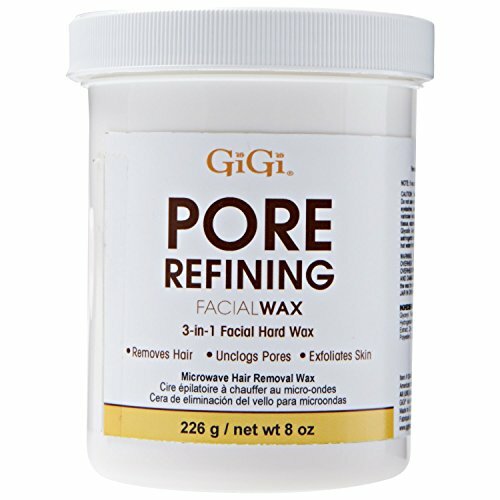 GiGi Pore Refining Wax, 8 oz. 1.Put a few drops of olive/color free oil or liquid make up remover into pot. 2.Reheat the remaining wax until completely dissolved. 3.Pour it out and wipe off the wax with tissue or paper towels when it is still warm. The oil will dissolve the the remaining wax. 1.Wash the skin that will be waxed. Don't apply any oils, gels or lotions as they may prevent wax from properly adhering to the hair. 2.Put an appropriate amount of wax beans into pot. 3.Heat until wax beans are completely melted. After wax is melted turn the temperature dial to the middle. 4.Using a wooden applicator spread a layer of wax on the skin along the direction of hair growth . (Make sure to test the temperature of the wax before pouring it onto your body!) When applying the wax leave the edges slightly thicker for easy removal. 5.Wait until wax is hard then holding the skin taut, peel it off rapidly against the direction of hair growth. Before the wax is removed, tap it a couple of times to check it has set and is ready to be removed. 1.Don't put water in the pot. 2. Make sure the wax is not too hot before applying to the skin. 3. Don't wax broken or irritated skin. 4.The thickness of spreading wax should be among 0.2cm to 0.5cm to insure its using result. 5.Wait 2 hours after waxing before you take a shower,exercise, or sun bathe. 6.If you are on medication that affects skin or have a skin related disorder,consult your doctor before use. 7.Keep the wax beans out of reach from children. 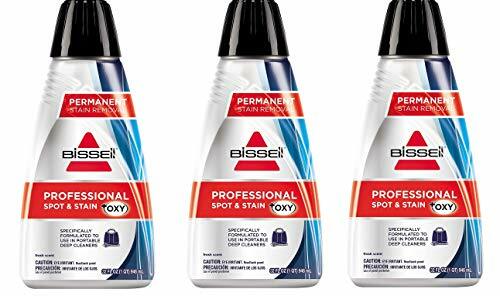 Convenient & Easy to Use : Safe for both men and women to use for removing hair from legs, face, arms, armpits .Made for at home or professional use. Just heat the wax in the pot for 10 minutes and use the included wooden applicator to apply. Wax hardens by itself and you simply pull it off smoothly, without applying strips on top. Wax professionally adheres to the hair, firmly gripping each strand, gently removing it from the root without pain and leaving the skin smooth and silky. Auto Shut Off Safety Feature: Adjustable heat options from medium to high.Electric wax heater will automatically turn off when the temperature gets too high and will start heating again when temperature cools. Effective: Suitable for most types of wax including hard wax,soft wax,wax pellet,sugar wax and so on. 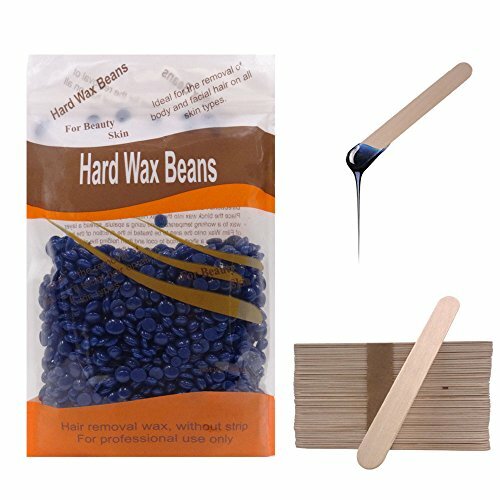 Melts wax beans in 15-20 minutes. Put the lid on for faster melting. See through cover keeps heat in and lets you monitor the melting process.Removes thin and stubborn coarse hair. The wax removes almost all the hairs in one try. You can get the remaining few hairs using a tweezer or apply a second strip if needed. Wax Kit Includes: 1 wax warmer (400ml), 10 wooden applicators, and a set of 4 scented wax beans made from natural wax ingredients. Each bag is 100g(3.5oz). Scents include chamomile, lavender, chocolate, and original scent. FDA APPROVED: Meets government safety requirements. 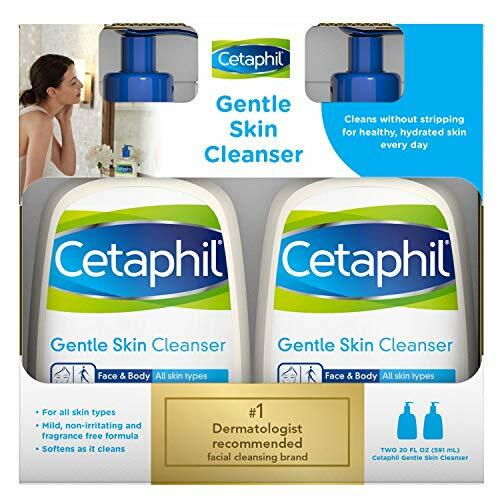 Cetaphil gentle skin cleanser was formulated for dermatologists as a gentle, non-irritating cleanser for even the most sensitive skin. Unlike soap, Cetaphil is completely non-alkaline, non-comedogenic, and fragrance free. 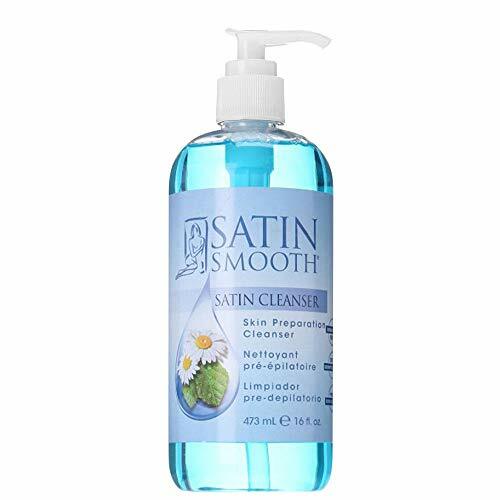 Soothes and softens as it cleanses, helping the skin retain needed moisture. Use for face, hands, and the entire body. Also an excellent cleanser for the delicate skin of babies. WE USE THE ORIGINAL BOX FOR PACKAGE, YOU MAY RECIEVED SIGN'PRO-WAX' BOX,BUT DON'T WORRY ABOUT IT,THE PRODUCT IS NEW UPDATE. Apply moisturizing essential oil to the skin. Just plug inand rotate the knob to adjust temperature, the pilot lamp lights up and the heater starts working. Take appropriate amount of wax beans into adepilatory wax heater to melt. Heat the wax to a melting temperature,after the wax melted,spread a layer of wax with aspatula on the skin along the direction of the hair growth. After 15-20 minutes, feel the wax temperature disappears when the wax stripped,against the direction of the hair growth quickly ,coated with skin cream. Pour some of Water into the container heating dissolved away the wax. Use makeup remover scraper and paper towel to wipe out the inside of the wax pot to get rid of any residue. It would be better to Cut the wax into pieces for melting if you want warm hard wax or paraffin wax. 1. Ensure the wax is not too hot before applying to skin, especially for eyes . 2. Do not use it on broken or irritated skin. 7. The recycle melting wax can't be used for face. WAXING SET FIRST CHOICE:Natural wax Ingredients Chamomile, lavender, chocolate, original flavor. FOUR kind of wax beans to choose to remove body hair, from coarse hair to finest fuzz,can be used on arm armpit, bikini area, eyebrows, beard and other growtharea. Portable and useful for hair removal. ADJUSTABLE TEMPERATURE CONTROL160 -240 ,DURABLE ABS HEAT ASSISTANT MATERIAL:heating fast, 10minutes can melt the hard wax beans, you can operation fast. Temperature Control automatic-shutoff 240 ,when under 160 will working again. 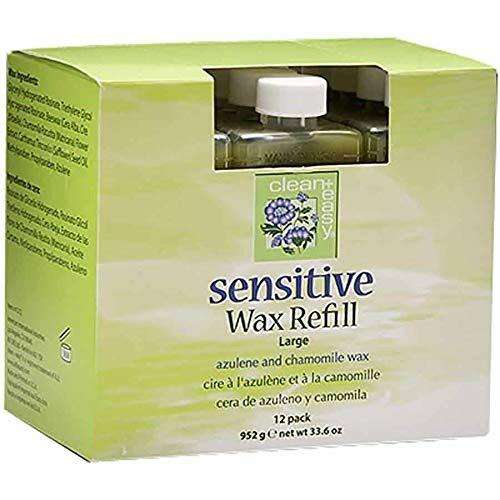 SUITABLE FOR MELTING ANY TYPE OF WAX:including hard wax, soft wax, 14 ounce wax cans, loose wax, bricks bikini wax kits, microwavable wax kits and hair waxing kits. PROFESSIONAL HOME /SPA BODY DEPILATORY:Yansu wax beans delivering a painless experience and leaving the skin silky smooth,without any strip. Easy to tear off the wax with 90% hair from root. 100% GUARANTEE AND REPLACEMENT,EMAIL US ANYTIME Yansu always in response to client,anytime, anything. For Smooth & Hairless Looking Skin ... PAMBO Hard Wax Melting Beads Are The Way To Go! Ahhh, waxing... the hair-ripping ritual that all women and men are struggling with. Whether you are a first-timer or making a drastic shift from razors, creams and epilators to wax, these high quality wax beads shouldn't be missing from your hair removal regime. No more struggling with ineffective hair removal products, sharp razors and nasty cuts or waxing kits that leave your skin dry, let alone full of hair. Enough is enough! The time has come for you to try waxing your legs like you should. Get yourself a PAMBO bead wax pack and experience the difference. This stripless depilatory method is here to revolutionize waxing from now on. Safe Bead Waxing For All Skin Types! Emulsified with nurturing ingredients, these wax beads are safe for both women and men. Ideal for all skin types, even those with sensitive skin. All you need to do is liquefy the beads in a melting kit, check the temperature, apply on skin, wait less than a minute, and then remove. Sweat free wax removing by hands! The melted wax will grab fine hairs perfectly from any area. From head to toe, these wax beads will satisfy even your most demanding hair removal needs. 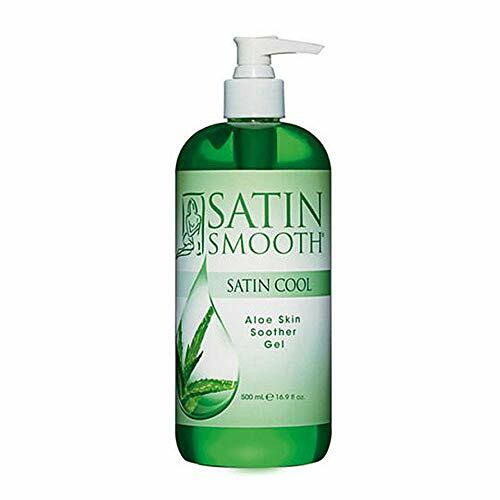 Touch your legs after use and enjoy your smooth and moisturized skin. Don't use if you are sunburned or have irritated skin. Use 2 hours after taking a shower or sunbathing. Don't go swimming 24 hours after hair removal. Consult your doctor if you are on medication. Keep it on your skin for less than 1 minute. HASSLE FREE HAIR REMOVAL: Forget about ineffective waxing strips, sharp razor blades and messy melting wax and get yourself these clever waxing beads! Just melt the granulated beads inside the kit, apply on the desired area, wait a few secs and then remove with your hands. No strips, no frustration, less pain! Stripless waxing is for real! WORKS FOR ALL YOUR BODY: Our bead waxing system works miracles all over your body! Eliminate even the tiniest or thickest hair effortlessly from now on without having to spend a small fortune on expensive hair removal salons. 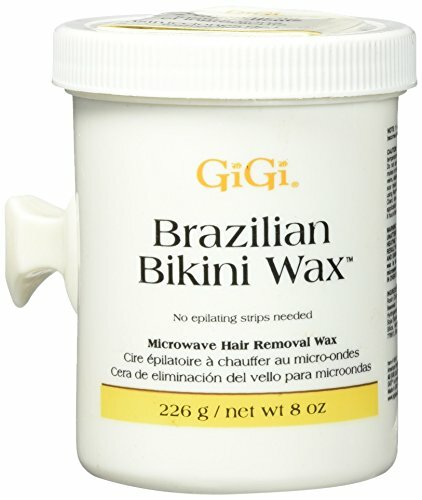 Ideal for your bikini/Brazilian area, legs, armpits, underarms, back or belly, arms, hands, and even your pretty face. SOFT WITH SKIN HARSH WITH HAIR: These waxing hair removal beads are made of high purity wax. That is why our wax beads are 50% more effective than all those other waxing kits out there. No more skin irritations. No more dryness. No more rashes. Infused with natural nursing and soothing ingredients, these wax beads are 100% safe. BONUS WAX APPLICATOR STICKS: PAMBO hair removal wax beads come with Bonus 50 pieces of wax applicator sticks. Facilitate the hair removal process to the fullest by simply using these sticks to spread the melted wax. When you are done using simply toss them away. Advised to test the temperature before applying the wax on your body! 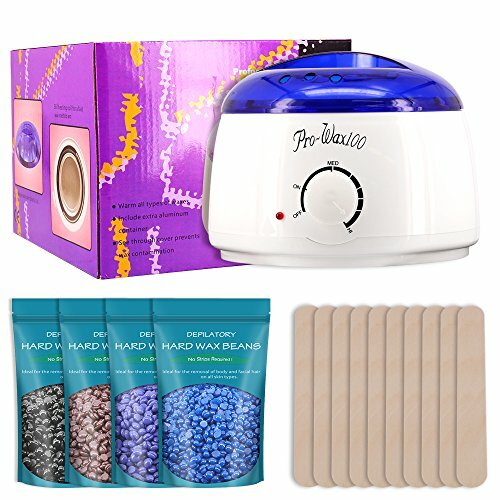 GET THESE HARD WAX BEADS RISK FREE: Since your satisfaction is our top priority, this depilatory wax system is backed by our unconditional 45-day warranty policy! Just in case you have any issues with these waxing beads, feel free to return them and get your money back! No questions asked. Get these waxing beads with confidence. This stripless hard wax is great for sensitive and delicate skin. 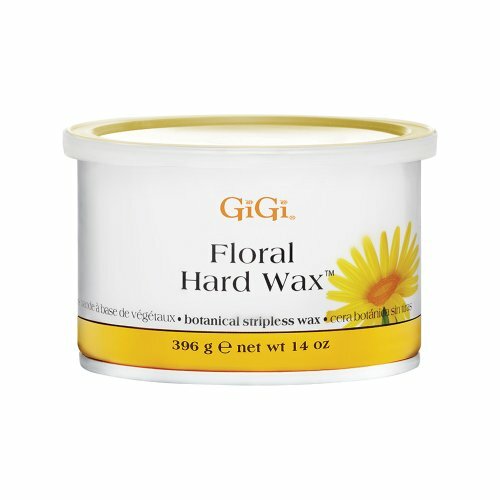 GiGi Hard Wax with Floral Passions wax is a special aromatherapy hard wax formula infused with beneficial floral extracts such as Arnica, Chamomile, Calendula and Rose oil that calm and soothe the skin.